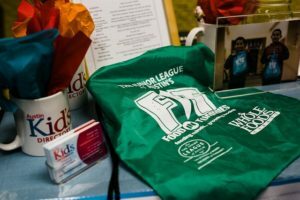 Austin Kid’s Directory and FIT- Food In Tummies: Skating for a Cause! 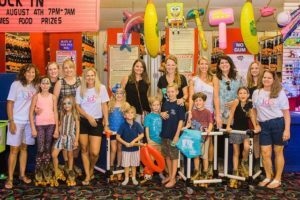 The Junior League of Austin was excited to partner with Austin Kid’s Directory for their 20 th Anniversary Party held at the Playland Skate Center on Sunday, July 23. In addition to JLA members, their families, and friends, the Austin community was invited to have a fun time skating, playing games, enjoying face painting, and other fun activities for a $5 donation to FIT- Food In Tummies. JLA volunteers were also on site to visit with attendees about the FIT program and to show the benefits experienced for children in Del Valle ISD. By the end of the night, $800 was raised for the FIT project and will directly benefit children who participate in the program schools for the 2017-18 school year. 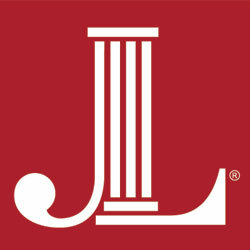 We would like to thank Austin Kid’s Directory for their generous support of The Junior League of Austin, and the FIT- Food In Tummies Program.